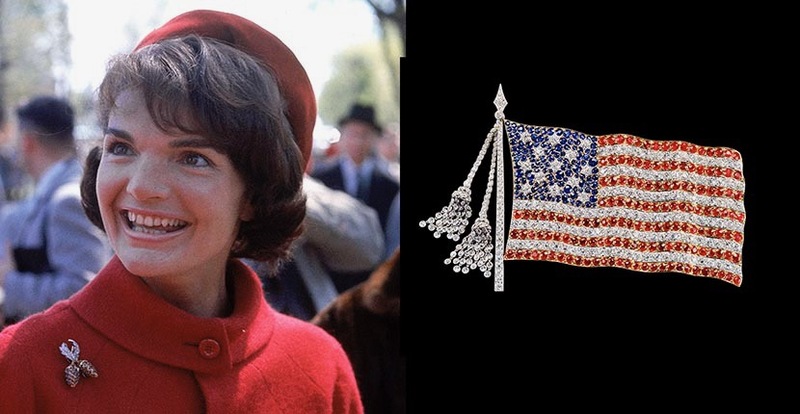 First Lady Jackie Kennedy wearing her clip designed by Jean Schlumberger and a Tiffany brooch depicting the first United States flag. Photo Getty and Tiffany & Co. Designs worn by First Ladies, received by Presidents and more displayed in Washington, D.C. Almost from the moment Tiffany & Co. was founded in 1837, the jeweler had links to American political history. 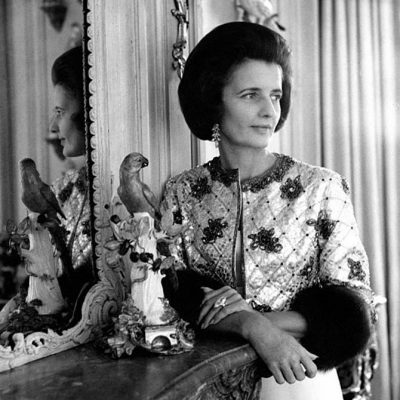 Over time, First Ladies have worn the jewelry. Tiffany gifts were given and received by any number of presidents. A Tiffany designer was even involved in creating the Great Seal of the United States seen on the one dollar bill. Yet there has never been a Tiffany in Washington, D.C. until now. In celebration of the grand opening at the CityCenterDC, a two month-long Tiffany Archival exhibition on display in the store shows the connections with Americana and the nation’s capital. See highlights from the exhibit which closes around April 30, 2019 below. American flags were listed in Tiffany’s Blue Book sales catalog as early as 1889. 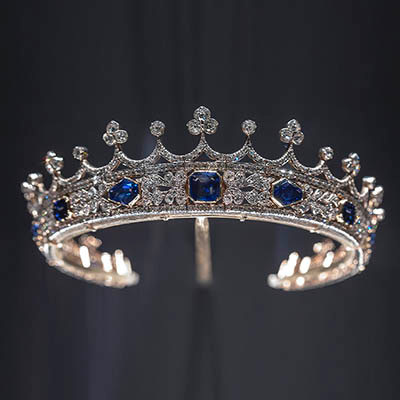 The platinum and gold, ruby, sapphire and diamond example (above) was made at some point between 1900 and 1910. It depicts the first official flag of the United States designed by Francis Hopkinson in 1777. 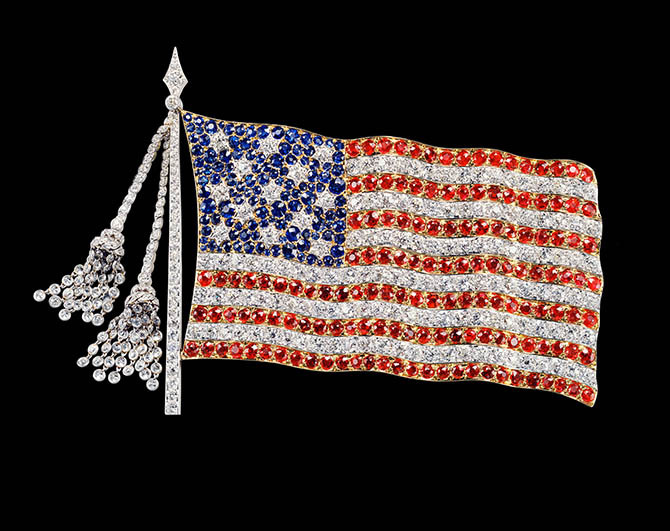 While the layout of the stars and stripes are true to the original, the tassels hanging off the flag pole are very much in the mode of early 20th century jewelry styles. The undulating pattern of the flag and the various sizes of the sapphires, make the Old Glory brooch look as though it is blowing in the wind. 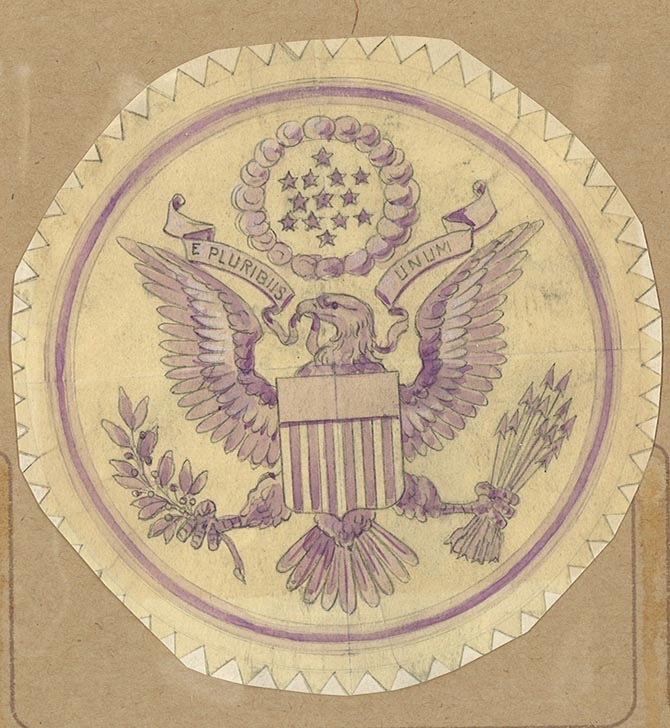 A rendering of the Great Seal created by Tiffany designer James Horton Whitehouse around 1882. Photo Tiffany & Co. The first design of the Great Seal used to authenticate documents of the United States got underway immediately after the Declaration of Independence was signed. Elements of the design completed in 1782 included an eagle, olive branch and arrows for the 13 states. Over time, when the die wore out alternative iterations incorporated mistakes. In advance of the 100th anniversary of the Great Seal, President Chester A. Arthur’s administration decided it was time to correct the errors with a new rendition. Tiffany was awarded the $1,000 contract for the work carried out by designer James Horton Whitehouse. While the motifs remained the same as the original, Whitehouse cleaned up the look, making the Great Seal more dynamic and heraldic. For example, the eagle in his rendition grasped the 13 arrows and 13 leaves with 13 olives from the back so the claws could be seen. He made the eagles legs a statement of strength by fully extending them. Once again in 1904, after wear and tear on the Great Seal, the design had to be revamped. The essential design that Whitehouse produced, however, remained the same and can be seen on the back of the one dollar bill today. First Lady Mary Todd Lincoln’s seed pearl and gold jewelry was purchased by President Abraham Lincoln at Tiffany & Co. in New York. Photo Tiffany & Co.
President Abraham Lincoln went shopping at Tiffany & Co. in New York on April 28, 1862 to buy a gift for his wife Mary Todd to wear to his inauguration. 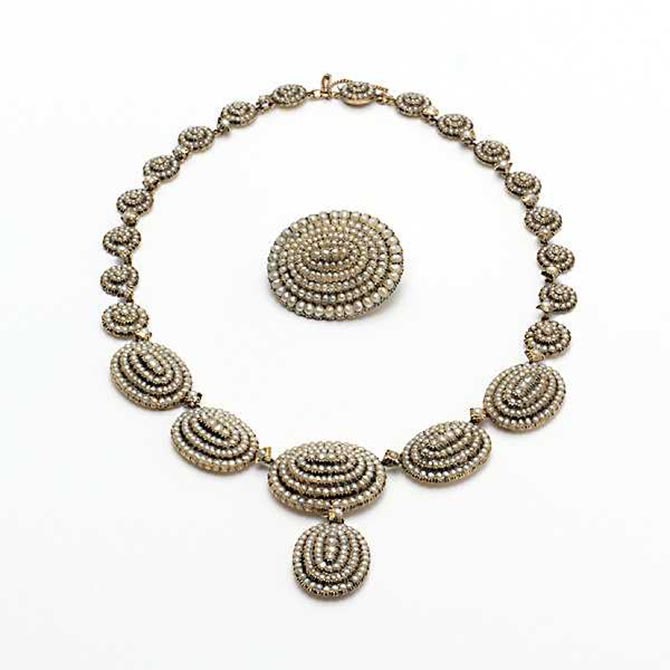 The set, that is in the Library of Congress, consisted of a matching seed pearl and gold necklace, bracelet, brooch and earrings. 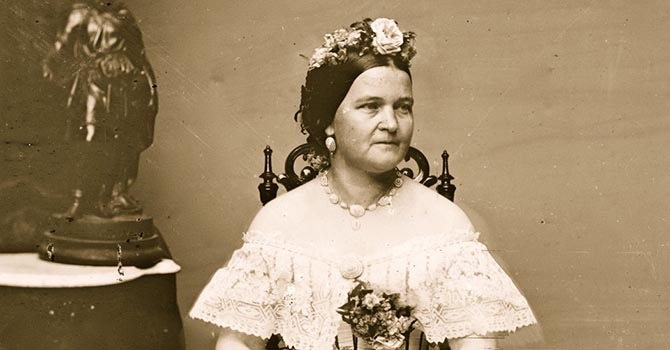 Mrs. Lincoln adored the jewels and wore them in several portraits. President Abraham Lincoln gave and received several items from Tiffany & Co. during his White House years from 1861 to 1865. One of the most interesting listed in the Tiffany Archives came from the first delegate from the Arizona Territory, Charles D. Poston. He gave the President an ink stand composed of over 400 ounces of Arizona silver, depicting the dome of the United States Capitol flanked by a Comanche Indian and a pioneer. In 1876, the object went on public display among Tiffany creations at the Centennial International Exhibition in Philadelphia. President Franklin Delano Roosevelt’s Tiffany watch. Photo Tiffany & Co.
For his 63rd birthday in 1945, President Franklin Delano Roosevelt received a Tiffany & Co. watch from his son-in-law John Boettinger. 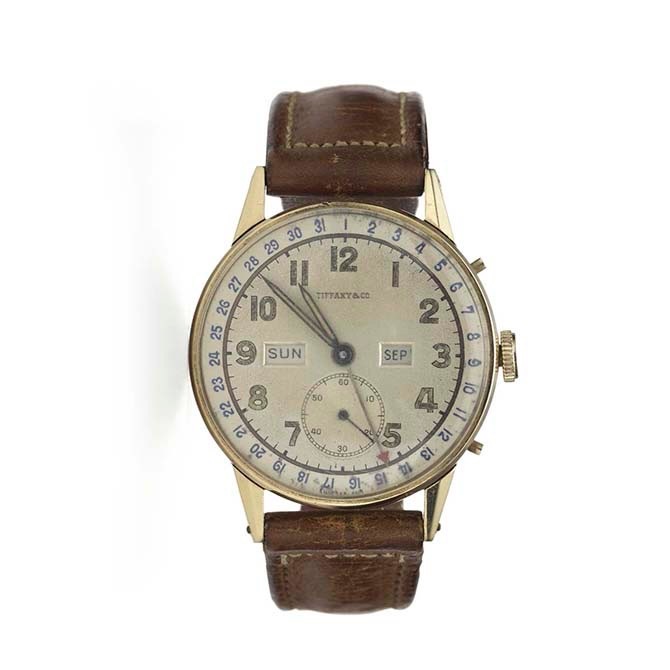 The timepiece is engraved on the reverse, “Franklin Delano Roosevelt with Loyalty, Respect and Affection January 30, 1945.” FDR wore the watch the following month to the historic Yalta conference in Russia with British Prime Minister Winston Churchill and Soviet Premier Joseph Stalin. Other presidents who have either given or received Tiffany watches include Abraham Lincoln, Theodore Roosevelt, Woodrow Wilson, Dwight D. Eisenhower, Harry S. Truman, and Lyndon B. Johnson. Shortly after being elected but before moving into the White House, John Kennedy went to Tiffany to buy Jackie a present in celebration of the birth of their son John, Jr. on November 25, 1960. He chose a sweet strawberry ruby, diamond and gold clip designed by Jean Schlumberger. 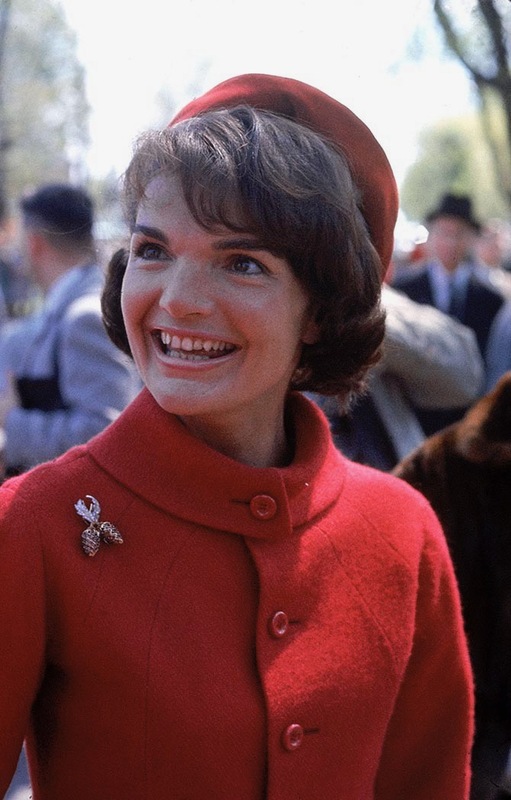 Jackie’s jewel, officially titled the Two Fruits and Leaves Clip, is in the collection at the John F. Kennedy Presidential Library & Museum in Boston, Massachusetts. There were several of the clips made over the years and an example is part of the Washington, D.C. exhibit. The Victoria & Albert Museum in London has a similar brooch, featuring emerald and sapphire fruits. 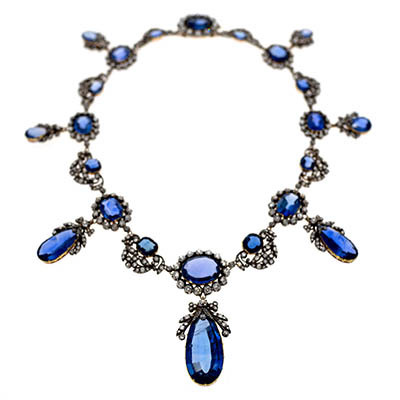 Mrs. Kennedy had many other jewels by Schlumberger in her personal collection. 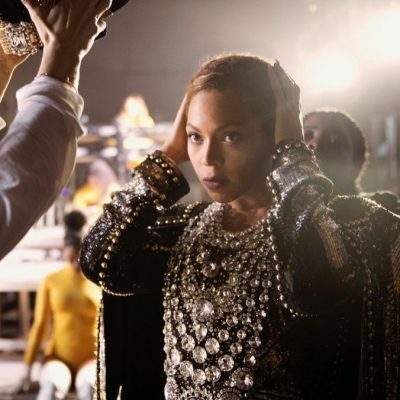 To celebrate their first wedding anniversary, Mr. Kennedy gave his bride a pair of black pearl drop earrings with a diamond floral motifs on top. Eventually, Jackie had Tiffany alter the design so she could also add white pearls to the bottom. Jackie acquired her first of many Schlumberger Croisillon bracelets in 1962 while she was First Lady. 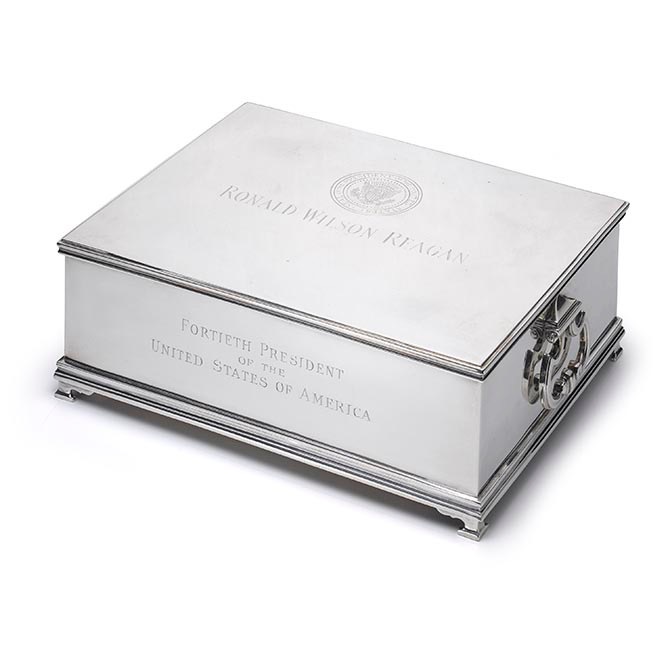 President Ronald Reagan’s Tiffany silver humidor and music box. Photo Tiffany & Co.